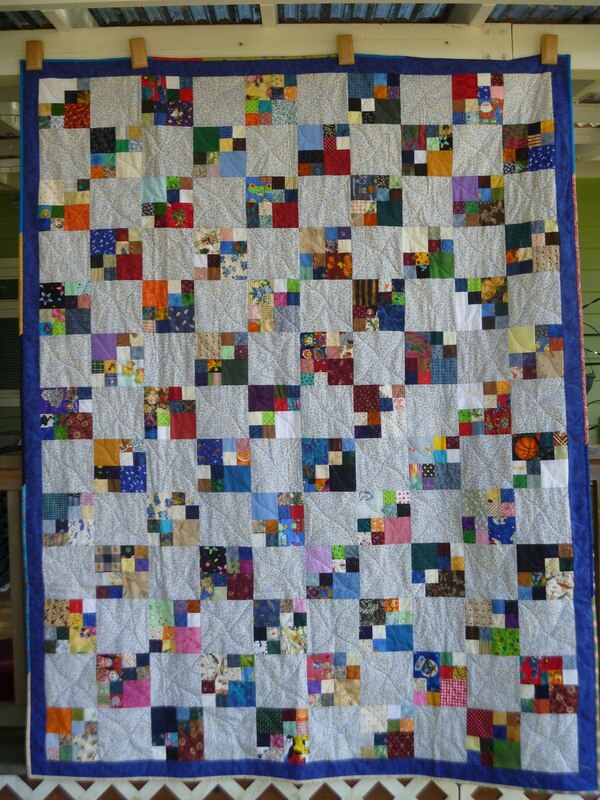 Lucy's Quilts: More Recuperation Needed! This week my house needs the recuperation! 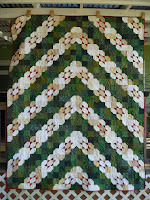 I didn't do much around here last week as I worked on quilts and getting ready for the quilt show. 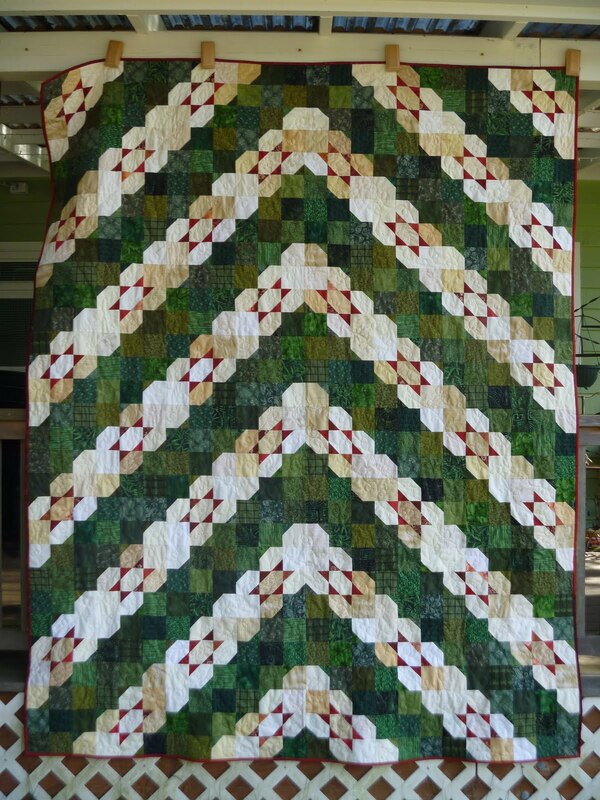 I quilted and finished 4 quilts last week! Then I sort of trashed the sewing room and the rest of the house getting things for the show. And after the show I just brought all the quilts, etc. in and dumped it. 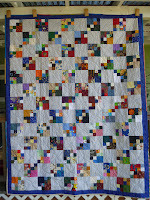 I think all the quilts are put away but the sewing room, that is another story! First, here are three of the quilts I got finished before the show. These are all ones that I had available for sale if anyone was interested. 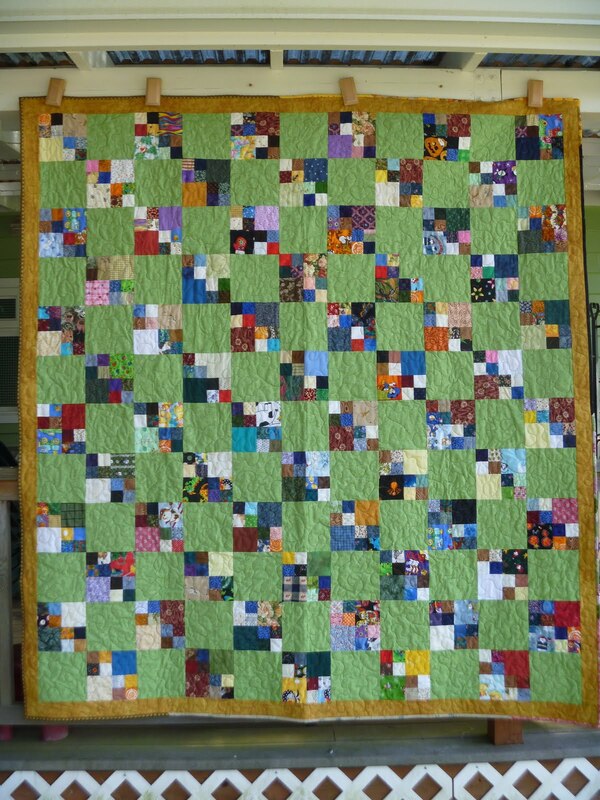 One of the others I finished was just quilting and binding for a friend but it was hanging in the show also. The show itself went very well. Lots of people came and lingered. Overall we raised about $600 for the American Cancer Society! I will admit that I prayed for rain so people wouldn't be able to work in their yards but I don't think that is so wrong, is it? 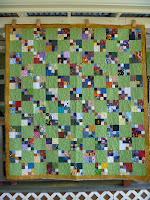 I never got around to taking pictures once all the quilts were hanging but I took some during set-up and you can see those here.